So it turns out… I’m a horrible wife! The worst part? I don’t even care! Here’s why: Andrew and I spent the whole weekend celebrating our 6-month anniversary. We talked about all of our favorite parts of being married, how much we’ve grown, and those types of things! During that conversation, we couldn’t believe it had gone by so quickly... so we did the math. Feb - Mar (1); Mar - Apr (2) …. Welp… We got to September and realized… WE’VE BEEN MARRIED 7 MONTHS! So I’m a bad wife because I couldn’t even get the dates right, but I don’t care because I love being married so much that time is FLYING. So I take it as a compliment! So now that you know we’ve been celebrating blindly, here’s what we were up to this weekend! Friday, we headed to our favorite movie theater of all time: Alamo Draft House. Traveling by train, we chatted about how much we’ve seen of Denver. We can’t believe we’ve almost been here 2 years now and wouldn’t trade our day-to-day for the world. Once settled into our seats, we enjoyed a delicious chicken sandwich and a few cold brews, as we watch SULLY. The movie was absolutely amazing… if you watched my snaps (@the_novice_native), you know that I had a rough start to my day Friday and a few good laughs/ a great movie was all it took to turn it around! We laughed, we cried, and ultimately we both agreed it was a great film. Saturday could be described as “The Perfect Day!” We woke up early and cleaned the house together. We both love when the whole house smells clean and everything is put away. Then we headed to the grocery store and filled our basket with all kinds of goodies. After all the chores were done, it was time to celebrate! We grabbed to pup and headed out for an amazing hike. During dinner, our “First Dance” song came on and we thought it would be fun to see if we could still remember the steps. To our surprise, we could! We had a blast dancing in our living room floor and chatting about our wedding. After dinner, Andrew grabbed the knife and cut the cake. We have heard horror stories about the cake not tasting good, so we were prepared for the worst. To our surprise… THE CAKE WAS AMAZING!! (I mean so good I’ve had a piece every day since. Cake for breakfast is a real thing.) We raved about how good it was and how much we wished we had done the whole cake in the “Cinnamon Roll” flavor with cream-cheese frosting! So… this is a formal apology to our guests – you missed the best flavor and we are sorry! Sunday, we spent the day relaxing and decorating my new blog office. I CANNOT wait to share it with you all. All in all … I guess you could say we had a pretty spectacular 6(7) month anniversary weekend! Cheers to having so much fun, you don’t know your anniversary! PS... All of the china, serving dishes, drinking glasses, champagne cooler.... they were all gifted to us by our amazing family and friends. Thank you all so much!! Choosing a wedding dress is the biggest decision of your wedding, alongside choosing your venue! The dress will set the stage for the event theme and and is also something you hold on to for a long time. You will forever have a photo of you, in your dress, with your husband on your desk/in your house… But you already knew that, right? With that being said, I’m not going to add to your stress by reminding you how important picking the right one is; instead, I’m going to help you navigate the options and make the process easier! The first step in picking the perfect dress is to establish a budget. Getting a dollar value in mind will help narrow down choices and save the heart ache of falling in love with a dress that’s way out of your price range. 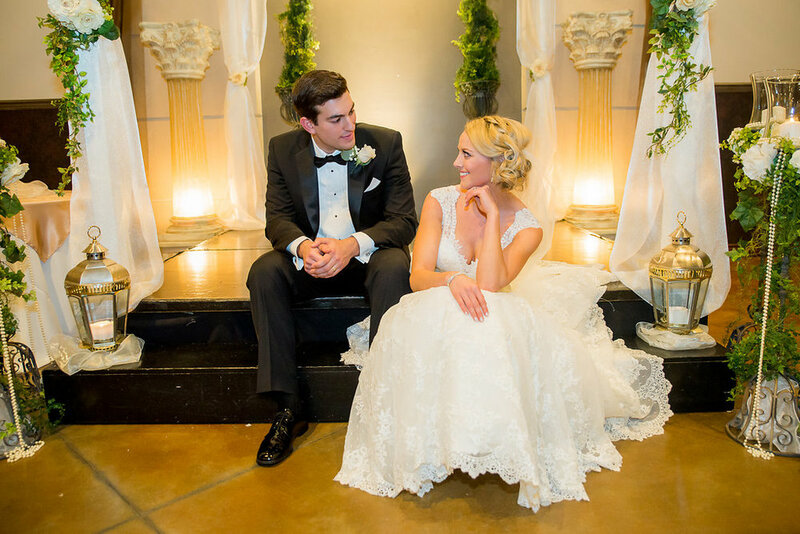 You’ll want to consider all the possible extra expenses, such as a belt, veil, jewelry, alterations, a crown (if that’s your style), and even dry cleaning! All of these thing quickly drive up the price of your purchase! The next thing you’ll want to do before you prepare for your big shopping day is get an idea of styles of dresses you like! You can start by browsing magazines, Pinterest, and other wedding blogs to get a sense of your like and dislikes. Keep in mind while you are browsing, hair styles are a big part of what complete the look for your wedding day, so you’ll want to choose styles that will complement your hair, as well. For example, a flowy, simple dress may look gorgeous on that model with perfect, long hair all tossed in a flawless, messy braid, but your short bob may not have enough interest to dress up the plain dress. You’d need a detail necklace or statement earrings to bring that kind of detail to the same look, all of which cost a fortune as you add on details! It’s not impossible, but spending some time considering all of your options will make the process much easier. After you’ve settled on a look and have a few ideas in your mind, it’s time to gather your girlfriends and head to the boutique! I advise researching the store you are booking with before you go. Check out the lines they carry, their average price portfolio, and if they have seasonal “sample sales.” The place you purchase from is just as important as the dress itself. You want to go somewhere that has experienced dress experts, and somewhere they understand your style. There is nothing worse that walking out in a dress you love, only to be met by someone with completely different taste than you. It is also infuriating to have an expensive dress (that’s outside your budget) presented to you, only to find out you couldn’t have it, even if you sold your liver! Moral of the story? DO YOUR RESEARCH BEFORE YOU BROWSE! 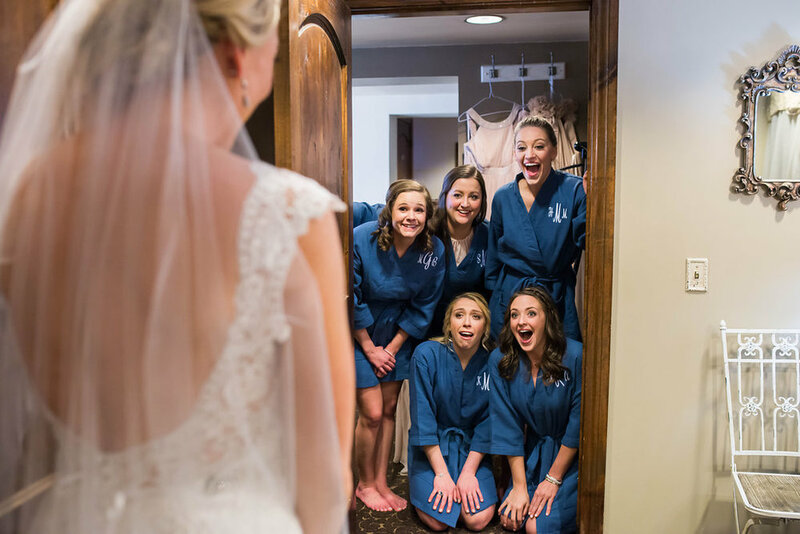 Now that you’ve gathered all of your girlfriends, family, and bridesmaids, it’s time to hit the fitting room! But what dresses will you try on? Explaining your look to your representative is vital! She may let you browse the racks, in addition to pulling a few of her favs for you. Don’t be hesitant to let her help, she has a lot more experience with dresses being made for different body types. Also, don’t be shy to try on samples if they are having a sample sale… The dress may have been tried on a thousand times, but it’s 1/3 of the cost and a quick dry clean and alteration will make it brand new, custom fit for you. Trust me ;) It’s beautiful, eh? Raise your arms!! HERE COMES THE DRESS—This is the most exciting part! It’s the most important part too. You’re in your first dress… YAY! You walk out, mom cries, the whole world is revolving around you. It’s easy to begin to feel overwhelmed, in this moment! But take a deep breath and bask in it. It’s your day! However, take my advice. Don’t fall in love with the first dress. Trying on wedding dresses is a different experience; you’ve looked forward to this moment your entire life and no matter what dress you are in, you will feel special. It takes a few dresses to get used to the idea that they are allllll beautiful dresses. They are wedding dresses and someone will wear them on the prettiest day of their life. THAT BEING SAID…. They are not all your wedding dress. So how do you pick? My advice? Try on a hundred dresses. Take your time. Love all of them. (Don’t worry) you’ll hate some too. But take the time to really process the dresses. Go to lunch and mull the options over. I promise…. I had always heard that “when you know, you know.” I didn’t believe it after trying on a thousand dresses that left me in tears, but believe me when I say… It’s true. You just know! Don’t let price, selection, or the sales clerk get you down. There is 100% a dress made just for you. You just have to enjoy to journey of finding it! Blue Bridal in Downtown Denver for my gorgeous dress! My experience was amazing and couldn’t have been an easier/more pleasant! 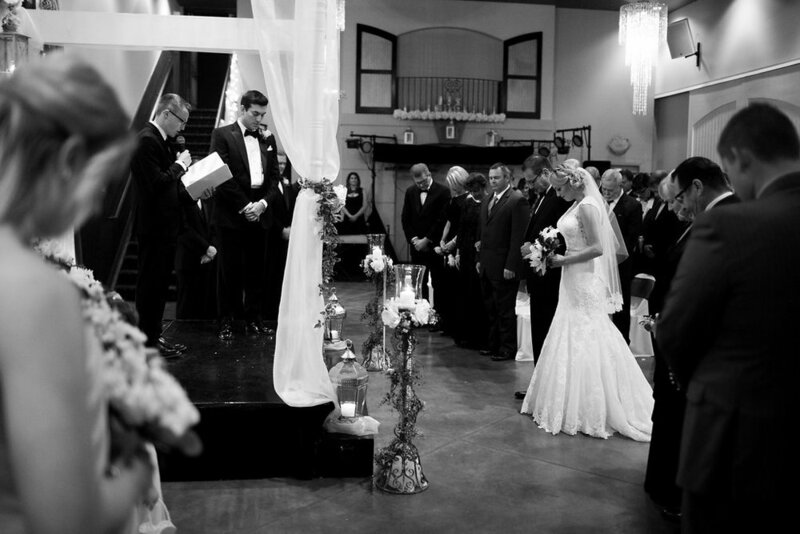 Walnut Street Photography for capturing the most perfect day of my life. You were wonderful to work with and absolutely professional with all of my family! YAY--- Memorial Day Weekend is in sight!! I know you all are feeling the struggle today as we are so close to a long weekend. Lucky for you, I have something EXTRA entertaining for you (to help the time pass, of course): Day 4 of our honeymoon!! I am so excited about this particular post because we bought a GoPro for the cruise and this was the first day we used it! The video I’ve put together made my heart so happy, because it felt like we were back in paradise. 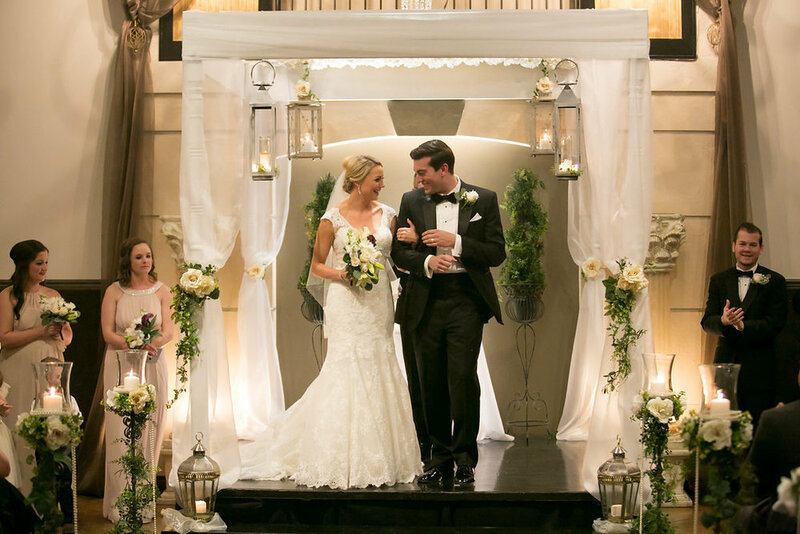 I hope you love getting to experience our day with us, as much as we enjoyed living it! Our day began, per usual, with breakfast on our amazing balcony! As we entered the harbor, we were greeted by other ships porting for the day. After checking out and getting some beach towels, we headed for land! The Port was busy and full of life. As we browsed and did a little shopping, we made our way to a taxi who would take us to our excursion for the day… HORSEBACK RIDING! Having grown up with horses, you can imagine my excitement. The stables we visited housed an awesome pavilion with a private beach. There was even an adorable little snack shop for light refreshments! As we geared up for our ride, we could barely contain our excitement. The ride would take us through beachside trails, wildlife habitats, and end with an incredible swim in the ocean! I was so pleased to see that the horses were very well taken care of and extremely well trained! With families and unexperienced riders in our group, it was comforting to know that everyone was safe. As we began our journey, the guide gave us the history of the island, the farm, and the resident family that cares for the animals. He also shared their future plans to expand their land for wildlife rescue! We had an amazing time taking in all of the beauty the island had to offer. After our land trail ride, it was time for a swim. Unfortunately, we forgot to capture footage of the adventure; life was just too exciting to remember. I can tell you this- It was the most exhilarating thing of the day! The animals enjoyed a dip in the cool water and the experience of swimming with them was indescribable. Guess you’ll just have to see for yourself now! After our excursion, we headed back to a restaurant near the port! Chesterfield’s was an adorable little fish shack with an awesome patio right off the marina. The fish was absolutely amazing. I had a whole Red Snapper, which actually terrified me at first. Who knew that had so many teeth? Photo 2 of the Andrew Across the Table Series! After a bite and a few drinks, we headed back to re-board the ship! Once there, we made our way to our room where we showered and got ready for dinner. The Newlywed Game was the show of the evening and we certainly didn’t want to miss that! The food, as always, was delicious. Andrew and I both had a perfectly cooked steak from the on-board steakhouse. After a mandatory vacation desert, we headed off to the show! We later found ourselves in the casino, our absolute favorite late-night spot of the trip! After a few hours of games and fun, sleep was just what the doctor ordered! I cannot believe I was a day late publishing this post…. Mainly because it was my FAVORITE DAY of our entire honeymoon and I am beside myself with excitement to share it with you! Day 3 of our honeymoon was spent in the most beautiful place in the entire Virgin Islands… St. Thomas. As our cruise ship sailed into harbor, we were welcomed by the prettiest views I’ve ever seen! It was majestic to smoothly glide across the water, witnessing the scenery scape by us (reminding me of the south of France) while we enjoyed our coffee and breakfast on the balcony! Then we left the boat to head to our first adventure of the cruise! Coki Beach and Secret Harbor Beach are directly next to each other… making in easy to see both in the small time window we had on the island! Having picked these two beautiful private beaches, grouped close together, to visit we loaded into a taxi. Needless to say, the taxi ride was absolutely breathtaking, as we were able to see most of the island from the hilltop views. The water was the perfect color of blue and the weather was everything you could hope for on a tropical vacation. Once there, we were greeted by the friendly staff and were offered a variety of chairs and cabanas for rent, our choice where they would be placed! Once we picked our spot, two men quickly appeared and began building us our perfect little spot for the day. The view was amazing… and the personal bartender/waitress was an even better perk! I look like a wet dog, but we had an incredible day! After relaxing for a bit, and applying sunscreen to my white, spray-tanned body, we headed just a few steps away to rent some paddle boards. Stand up paddle boarding is one of my favorite things… it’s also one of the first things I ever set my mind on doing when I started this blog—I’m so appreciative of how everything comes full circle! We had a blast blazing through the mellow water, exploring the views from different vantage points! The coolest part was getting to paddle all the way across the cove to a little island all to ourselves. We ordered lunch from a local restaurant and had it delivered to our little piece of heaven! When they brought us our Jerk Chicken Platters, they surprised us with my new favorite tropical beverage… a BUSHWHACKER. If you have never had one, they are a rum-chocolate-dream lovers every desire. I had them the rest of our vacation (that’s probably why I gained 10 lbs…)! After enjoying a perfect, relaxing afternoon, it was time to say goodbye. We loaded back up in our “round trip taxi” and headed back to the ship. We had dinner reservations for Formal Night and we were so excited to get dressed up for each other! Finding the Perfect Make Up Artist!! I couldn’t be more excited that it’s wedding season. Having had the perfect wedding (in my opinion), I’m loving every opportunity to celebrate someone else’s big day and reminisce on our own memories! This weekend I am on my way to Denver’s version of Vegas, Blackhawk, to celebrate a sweet girlfriend and fellow blogger’s bachelorette party! Be sure and check her out at www.semisweettooth.com and follow me on Snapchat (username : thenovicenative) for all to follow us and join in on the fun!! It going to be a great time with some much needed girl talk. SQUEEEE!! 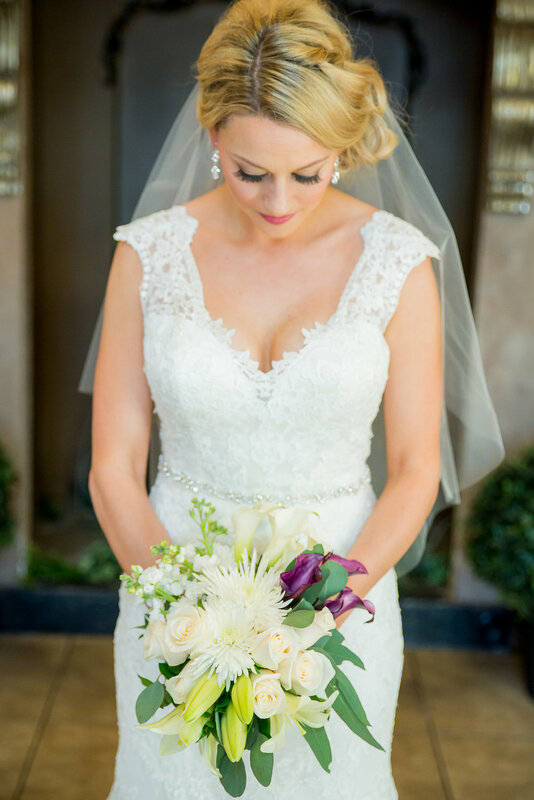 But let’s talk your wedding, and review hands-down the best makeup artist in Denver! First things first… finding your make-up artist can be a bit hard, but following my simple steps will help make the process easier. Referencing my post Choosing a Hairstyles will be helpful, as it involves the same steps with a more elaborate outline of the steps. However, if you’re life me, you prefer the Cliff Notes! Ask around! Friends are a great way to get good, real life feedback. Make a list of your top choices, narrow it down to 10. Send an initial email to your top 10. Include your date, wants, and needs, as well as photos if you have them. Ask for pricing and availability! Rule out everyone outside of your budget once you’ve gotten a majority of the responses. Choose your artist and sign your contract! Now that you’ve chosen the perfect partner, you’re ready to set up your trial run! I HIGHLY recommend doing one, as there were a few changes I needed to make after mine. Scheduling it in the morning is ideal, as you can see how the makeup wears throughout the day! You don’t want it to slide off, or smear with the slightest glisten. Having a photo to bring with you on the day of your trial will be very helpful for the artist. If you can, bring a few options in case the artist suggests that one may not work with your skin tone, etc. If you are happy with the way your trial went, get with your artist and determine a timeline for the big day! You will want to consider how many girls are getting their makeup done, and factor that in to the hair schedule. I am going to leave you with this little suggestion for scheduling and deciding what work is done… If you are considering paying to have your bridesmaid’s make up done, or asking that they pay for it themselves, one of the best ways to cut down on the cost is to ask the makeup artist if she does “mini facials”. If she doesn’t understand, you could suggest and ask if she would be willing to do “eyes only” or “full face with no lashes” for each of the girls. This will cut down on her work load, but also give her the opportunity to earn additional business since she is already booked that day. I hope this helps you find your perfect match – You’re going to be beautiful! IT'S THURSDAY and you know what that means.... TRAVEL DAY on the Novice Native - YAYYYY!!!!! I have tons of recent adventures to share, but I can't help but continue to focus on the amazing trip we took for our honeymoon! Day 2 of our Honeymoon was just as exciting as the first!! After an amazing night's sleep, we took some time to reminisce on everything that had happened in the past 48 hours! All packed up and ready to board our Royal Caribbean cruise, we couldn't wait to get the day started! Our morning began with a delicious and relaxing rooftop brunch at our hotel (The O:live Boutique Hotel). We had some tasty drinks and enjoyed the beautiful view as we laid by the pool, wait to head to the dock. The patio at the O:live is definitely one of my favorite places of this whole vacation. The small room count helped keep every experience feel intimate and exclusive!! After some relaxation, we left our bags with the bell boys and headed out for some adventure! Exploring the busy streets and doing a little shopping was just what the doctor ordered. We had a wonderful time people watching and taking in all the sights and smells that Condado (the little neighborhood surrounding to hotel) had to offer. They were full of life, safe, and so much fun! Basking in all that is a honeymoon, we took way too many pictures of our newly legal commitment! !